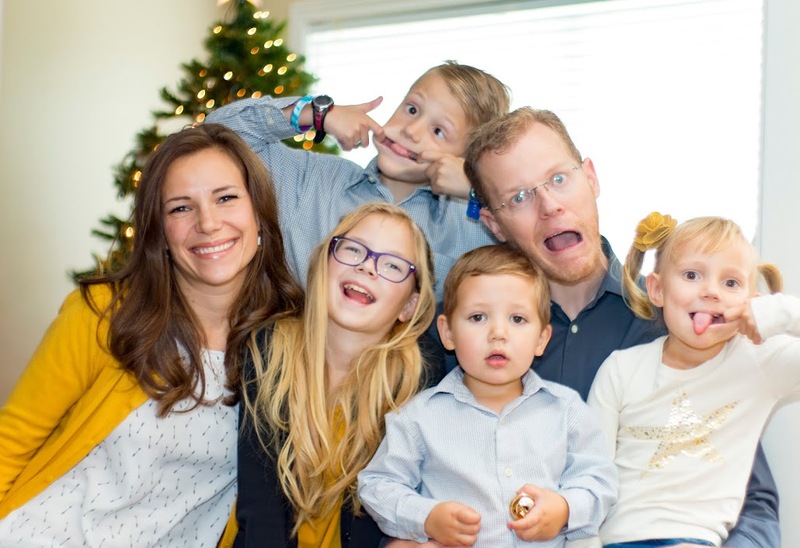 December is a rather crazy month at our house. 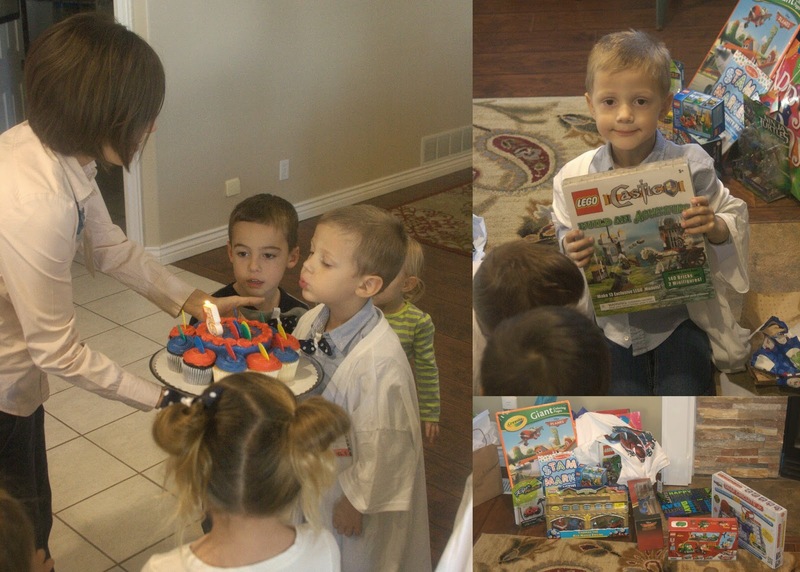 Besides all of what we do to get ready for Christmas, we also celebrate Carson's and Todd's birthdays during that month plus two more with extended family. 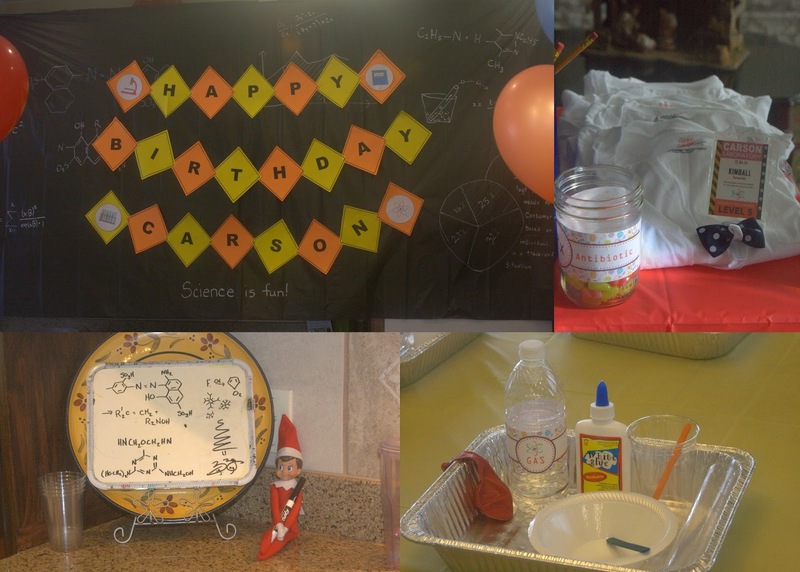 I think Carson's birthday was the best one I've hosted to date simply because of the theme. Who doesn't get excited about science? 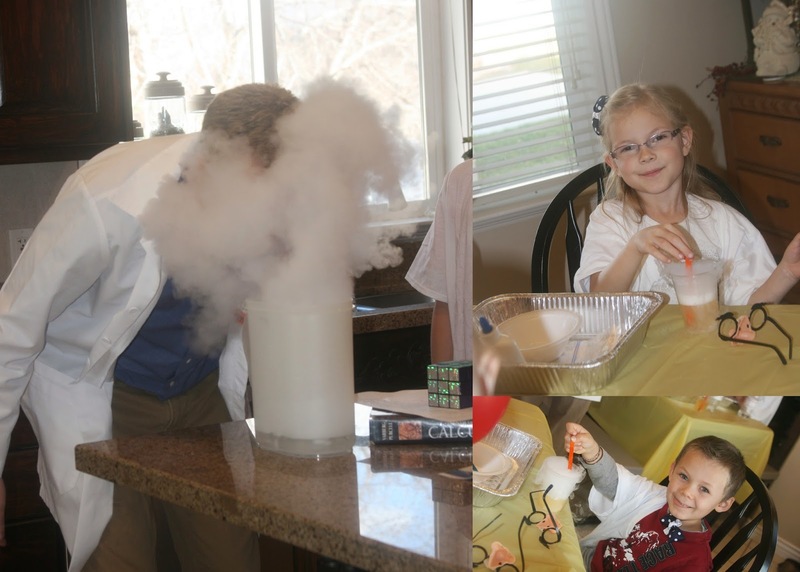 It doesn't matter what age or gender you are, little and big kids alike all love a good experiment. The best part is that it really didn't take a lot of work to plan or decorate for it. I used a black plastic table cloth as a blackboard. Todd wrote all kinds of statistics and chemistry formulas on it. Each of the kids received a treat bag that resembled a lab coat pocket, including the nerd looking glasses and a pencil hanging from it. 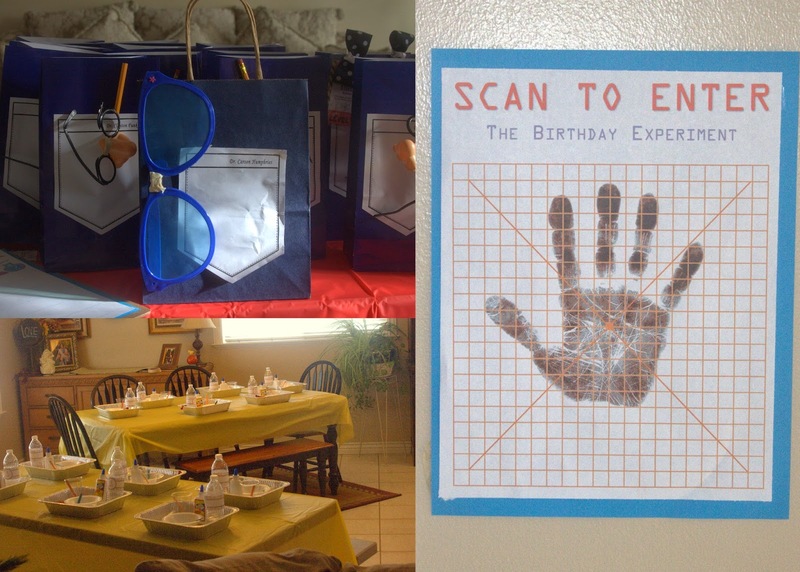 The actual treat bags contained a mini magnifying glass and an experiment for them to do at home. 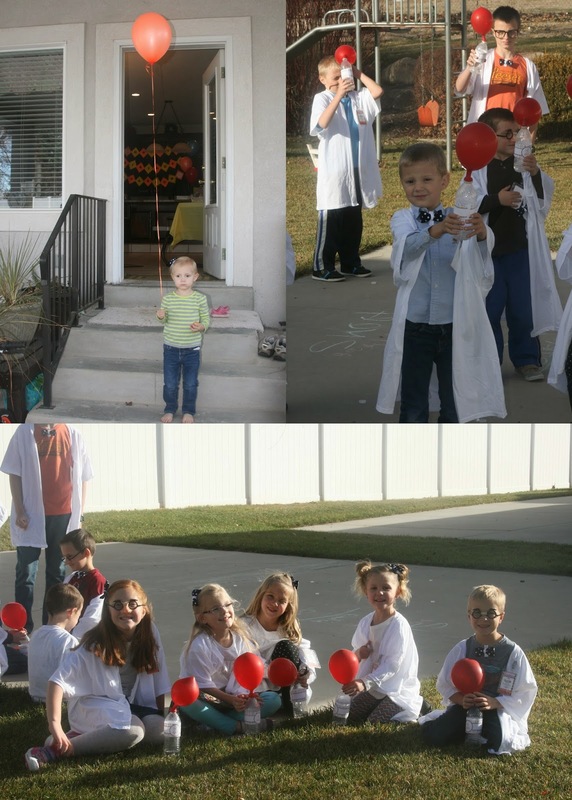 Upon arriving the kids were given a lab coat made from a large white V neck T-shirt cut in half across the front. 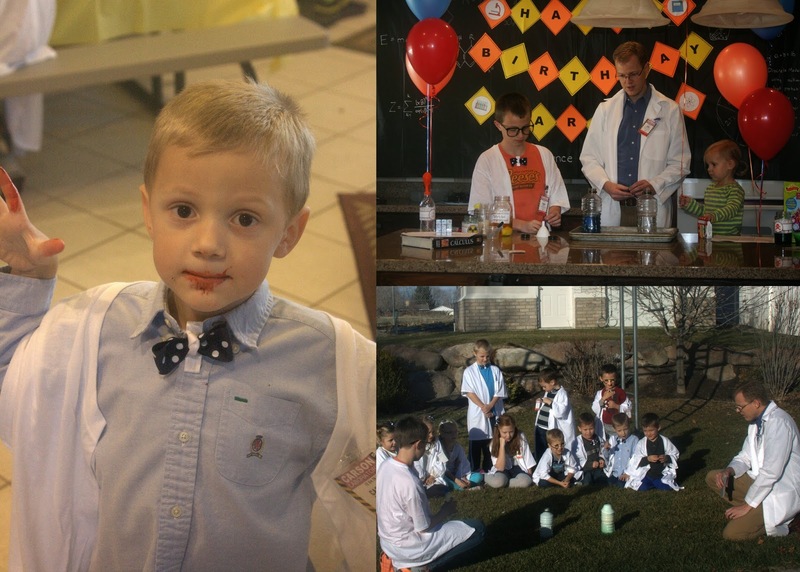 Each lab coat had a tag made with each kids name and a bow tie or hair bow for them to clip on their shirts. 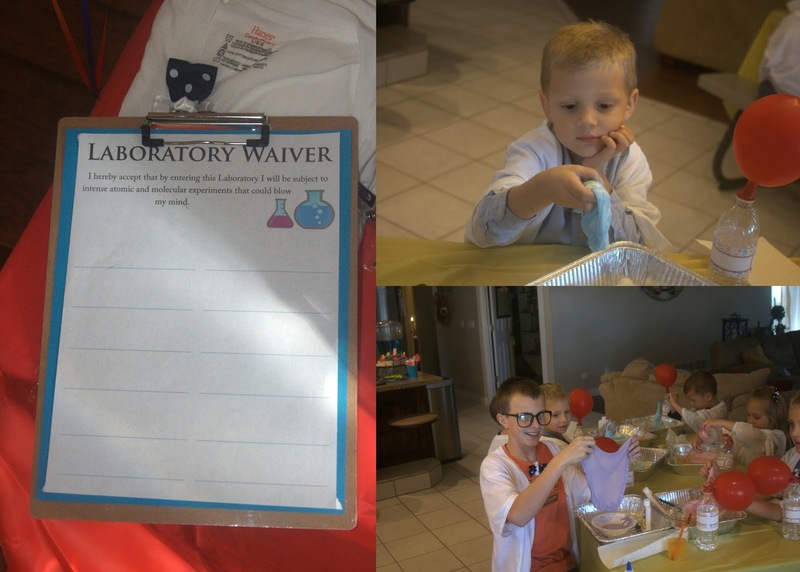 Each of the kids had to sign off a waver agreeing to participate in some really cool experiments and take an 'antibiotic' candy to immunize them from any toxic substance they may come in contact with. 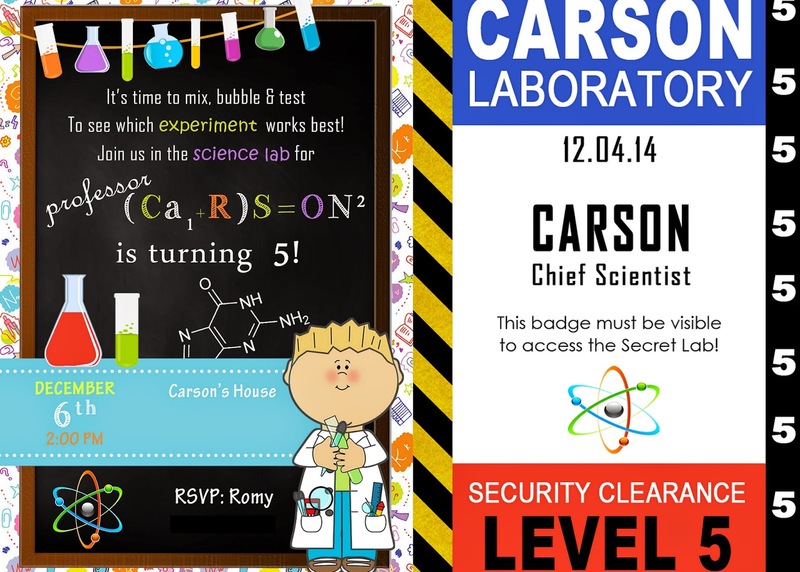 After scanning their hand print they were granted access to the lab. We hung a painter's drop cloth from the ceiling and cut strips every few inches. The kids had to pass through it to enter the lab. Professor Todd and his assistant Heber kept everyone entertained. 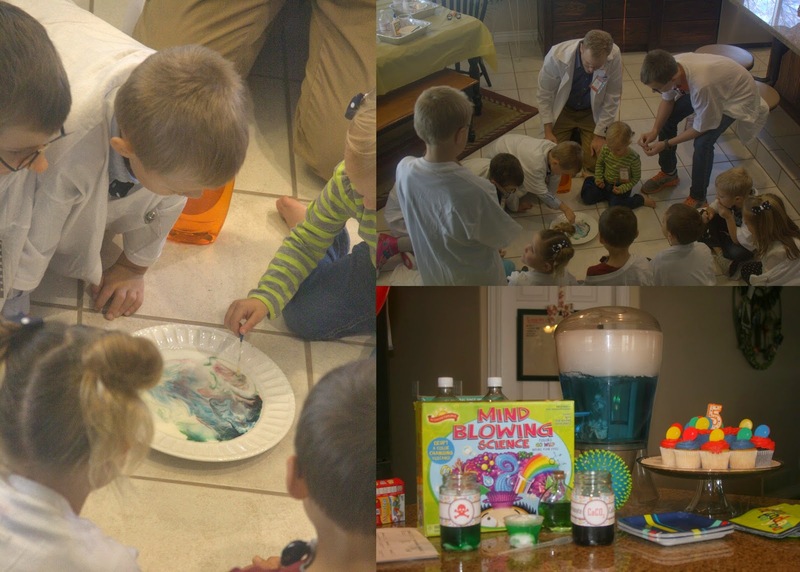 We made elephant toothpaste by mixing yeast, dish soap and hydrogen peroxide. The weather was so nice, we were able to do some of the experiments outside. Another experiment we did was Tie-Dye Milk. We added some drops of food coloring to milk. The food coloring did not spread because it is lighter than milk. We placed a Qtip on the milk and still nothing happened. We then dipped the Q-tip in dish soap and touched the milk a second time. The dish soap broke the surface tension in the milk and the food coloring began to spread and mix with the other colors causing it to look tie-dye. 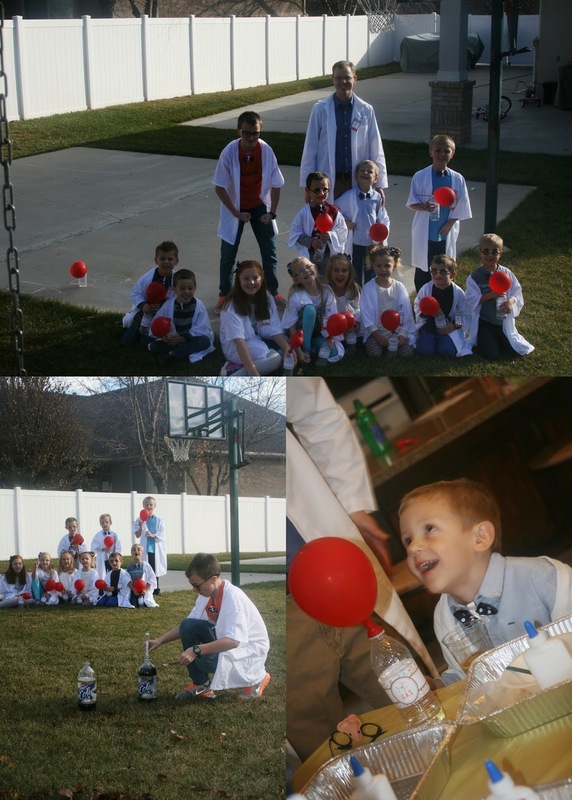 We also made self inflating balloons by mixing baking soda and vinegar. It is so fun to see the kids react to something totally unexpected and almost magical! We of course had to make the Mentos and Soda experiment. It was awesome, but try as we might, neither Todd nor I could get a picture of the geyser shooting up. The kids all love making their own lemonade fizz with baking soda. They each got a small piece of dry ice to put in it so they could see it bubble and evaporate up close. Last but not least was slime. I've never made slime and I don't think I plan on doing it again any time soon. It's not hard to do, but it really does feel disgusting in your hand and you have to knead it to mix the ingredients and make it turn out, although I have to admit, the kids all thought it was really cool.